Here are some of key features offered with the India-made 2017 Volkswagen Tiguan SUV. It's been little over a week since the launch of the new Volkswagen Tiguan in India and the German carmaker has a lot of hopes for the SUV. We will be soon bringing you our first drive review of the SUV and tell you how capable is the second-generation Tiguan. 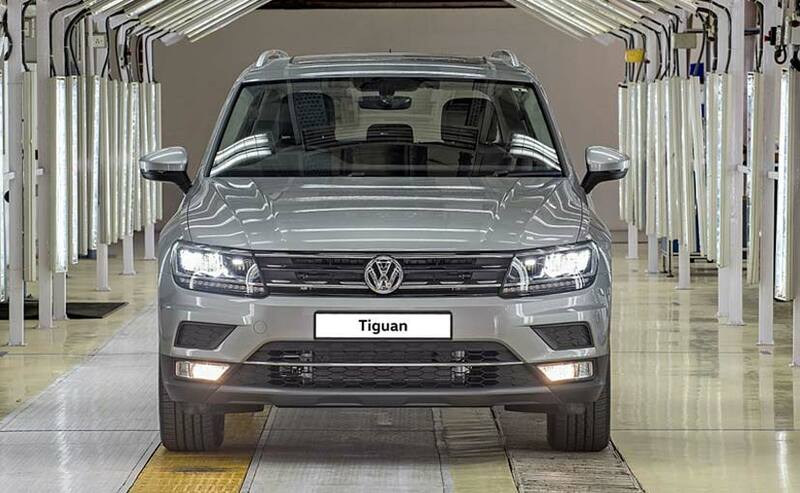 Now we have already driven the global-spec Tiguan, and the only area where the India-spec model differs from the former is with regards to a few features. While we have talked at length about its variants, exterior styling, and cabin offerings - here are the key features offered in the India-made 2017 Volkswagen Tiguan. Full LED Headlights and Taillights: The Volkswagen Tiguan comes with full-LED headlamps and LED taillamps as standard across its two variants - Comfortline and Highline. Upfront, the SUV gets a horizontal, wraparound headlamps that feature twin-barrel LED projector lamps aided by LED daytime running lights. 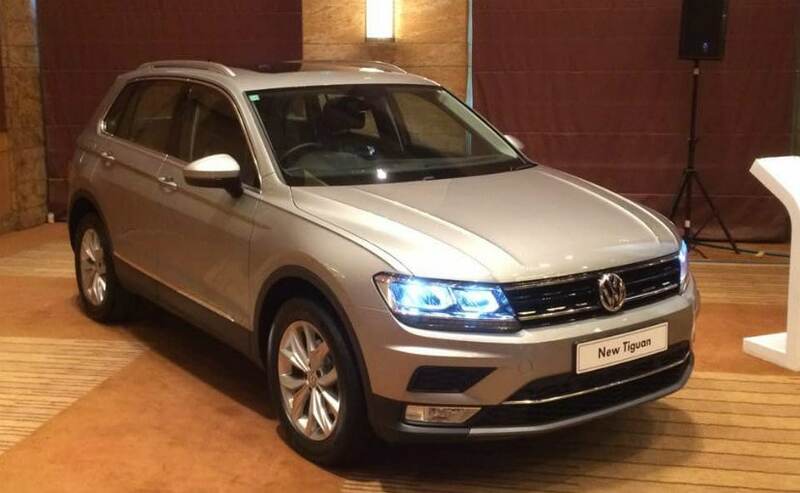 The Tiguan also offers horizontal LED foglamps. Similarly, the rear portion comes with a set of styling split LED taillamps with integrated turn signal lights. 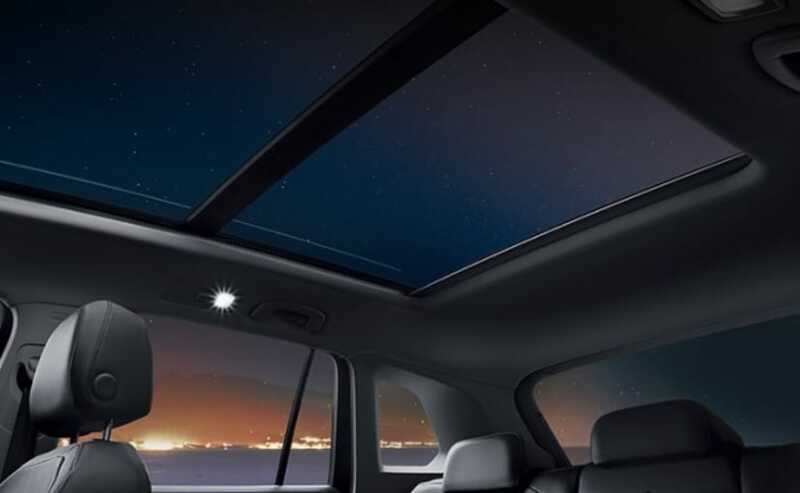 Panoramic Sunroof: Only offered in the top-spec Highline variant, the Volkswagen Tiguan comes with a large panoramic sunroof which is electrically operable. From inside the cabin, the sunroof comes with LED surround lighting to further accentuate the design and styling. 4Motion All-Wheel-Drive System: Volkswagen offers its popular 4Motion all-wheel-drive (AWD) system as standard with both, the Comfortline and Highline, variants. The AWD system itself is in its fifth generation and comes with a drive mode selector, offering four different driving modes - Snow, On-road, Off-road and the adjustable Off-road mode. Spacious Boot With Easy Open And One Touch Close Function: Both the variants of the Volkswagen Tiguan comes with an extremely spacious 615 litres of boot space. 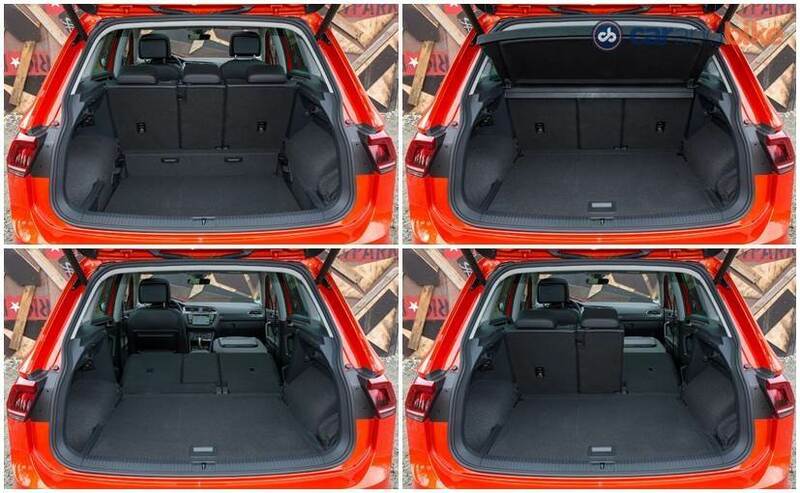 This boot space can be further expanded by folding the two rear seats to make room for a total of 1655 litres. At the same time a feature that is only offered in the top-spec Highline variant, is the Easy Open Boot function which allows you to open the boot by just moving a foot in front of the sensor placed below the rear bumper. Furthermore, there is also the One Touch Close function, available only on the Highline variant, which automatically closes the boot at the push of a button. Infotainment System: The Tiguan comes with an 8-inch touchscreen infotainment standard across both the variants. The system is equipped with Apple CarPlay and Android Auto along and a smartphone-based navigation system. The system is aided by eight speakers, USB, Bluetooth and AUX-IN connectivity as well. Keyless Entry and Reverse Parking Camera: The Tiguan SUV also comes with Keyless entry with engine start and stop button. Along with that a reverse parking camera which displays the image on the infotainment system. Both the features are unique to only the Highline variant. 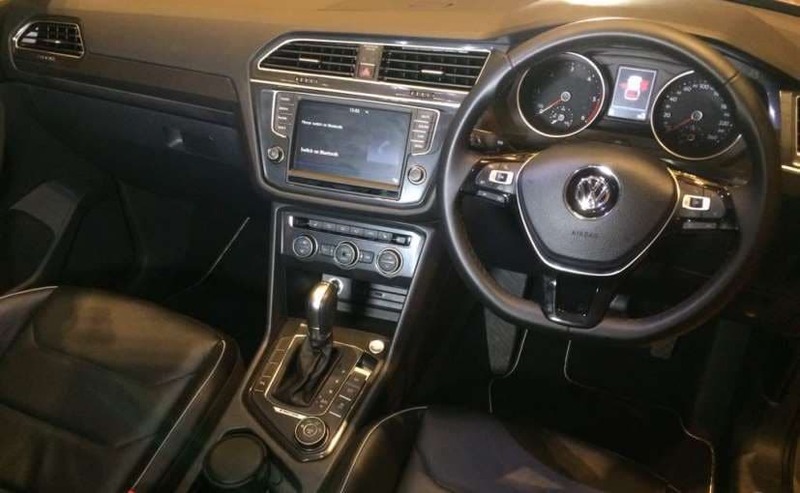 Other standard features include - three-zone climate control, heated front seats, electrically adjustable driver's seat with memory function, heated wing mirrors with retracting and memory function. Under the hood, the Volkswagen Tiguan comes with a 2-litre four-cylinder TDI diesel engine that churns out 141 bhp and 340 Nm of peak torque, while mated to a 7-speed DSG automatic transmission.